Guillaume X, Duke of Guyenne and Count of Poitiers, created a large vineyard called the “Vineyard of Poitou”. The Vineyard of Poitou produced wines which, transported by dutch ships used for carrying salt from the coast, began to be appreciated by the countries around the North Sea. The town of Cognac was beginning to be known for its wine commerce which combined well with its salt storage facilities, present since the 11th Century. The Dutch vessels came to pick up reputable wines from Cognac from appellations “Champagne” and “Borderies”. The vineyards of Aunis produced such quantity of wine that it became difficult to clear the stock. Things were made even more difficult as the wines were low in alcohol and could not be exported easily due their deterioration in transit. At this time the Dutch merchants used them in their new distilleries. They distilled them into “brandwijn” or burnt wine. The vineyard extended to about 280,000 hectares at that time. But in 1875 phylloxera in the Charentes was to eradicate most of the vines. In 1893 there were just 40,000 hectares which were recovered. 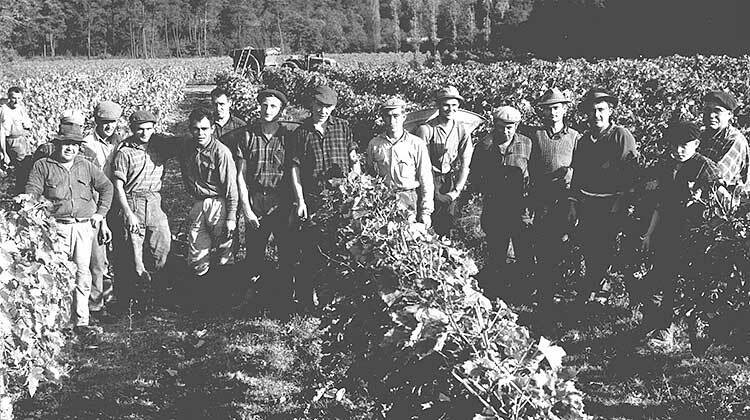 The rebuilding of the vineyards was slow and it was necessary to import American rootstock to reestablish the economy of the region. Since 1909 there has been an “Appellation Controlee” (AOC) controlling the region. According to this decree only liquor emanating from Eaux-de-vie from the appellations in the Cognac region can be called “Cognac”. It must also be distilled and aged en situe according to the authorised techniques – notably by a double distillation in a charentais copper still. The aging must also be in oak cask with a minimum maturation period. All Cognac can be recognised by its label which faithfully represents the appellation and length of maturation of the youngest eau-de-vie in the blend. A Cognac can be sold as soonas its youngest eau-de-vie is at least 2 and a half years old (from the 1st October of the year of harvest). In order to establish the age of the Cognac only the years spent in barrel count, as once the spirit/Cognac is transferred into bottle, the product ceased to age. Thus a VS (Very Special) ou Selection is concerned with a Cognac whose youngest eau-de-vie is at least 2 and a half years old; a VSOP (Very Superior Old Pale) is a Cognac whose youngest eau-de-vie is at least 4 and a half years old; a Napoleon XO (extra old) or “Hors d”Age” is a Cognac whose youngest eau-de-vie is at least 6 and a half years old. The best Cognac houses allow their eaux-de-vie much longer in cask than the minimum requirement. The longer it matures, the more the Cognac gains in complexity, aroma, perfume and taste. It is at the end of 50 years that it can attain its perfection. Phylloxera came to Charente in 1875. It was destined to destroy a large part of the vineyards, only 40,000 hectares of which would be recovered in 1893. 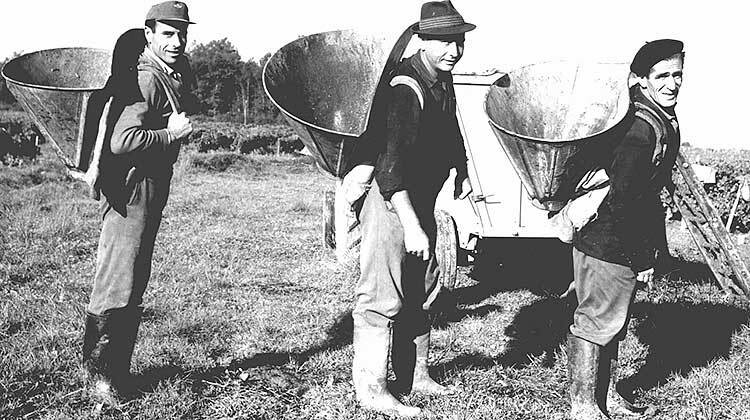 This crisis gave birth to the “Comite de Viticulture”, followed by the “Station Viticole” in 1892. numerous years of effort and patience would be necessary to reinvigorate the economy of the region. 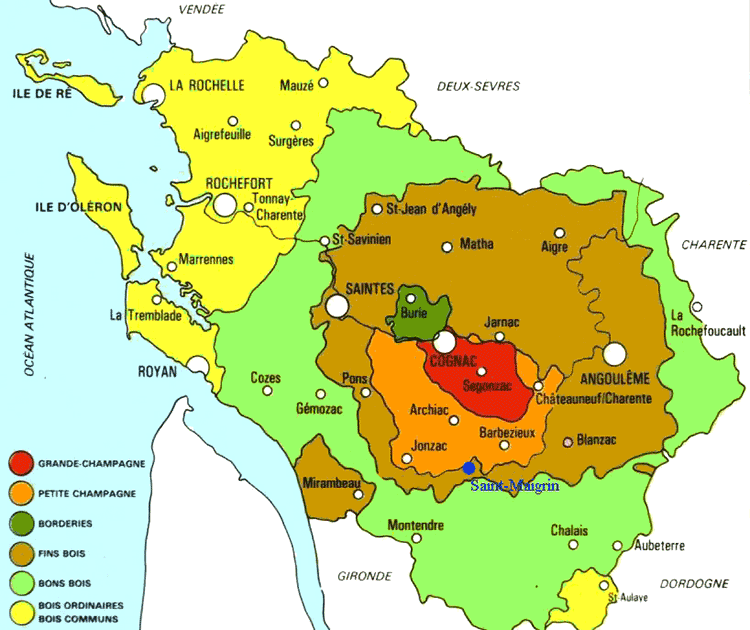 The 1st May 1909, the geographical zone of production of Cognac was defined. 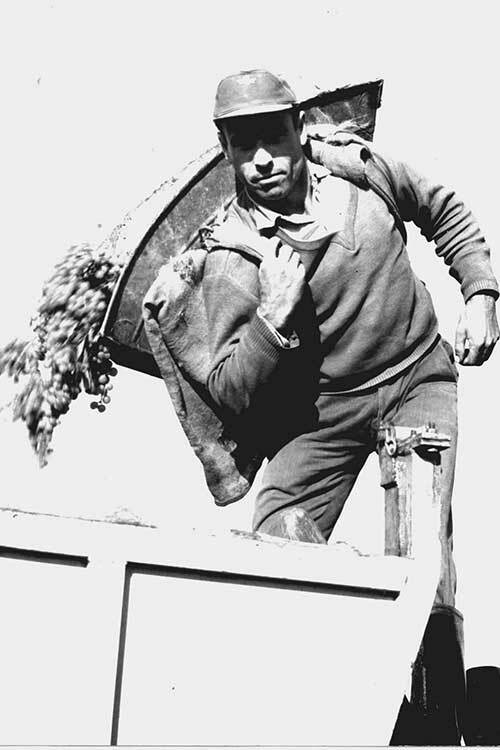 Then in 1936, Cognac was recognised as an Appellation d”Origine Controllee. During the Second World War the office for the denomination of wines and eaux-de-vies was born, in order to try to preserve the stock of Cognac. After the Liberation in 1946, it was replaced by the Bureau National Interprofessionel du Cognac (BNIC), to which the Station Viticole was attached in 1948. All the stages of Cognac making were henceforth subject to legislation prepared to protect the product whose fame was ever growing. Wine producers and Cognac negociants are united in their support for the role of the BNIC: “To develop, represent and defend the collective interests of Cognac professionals”.